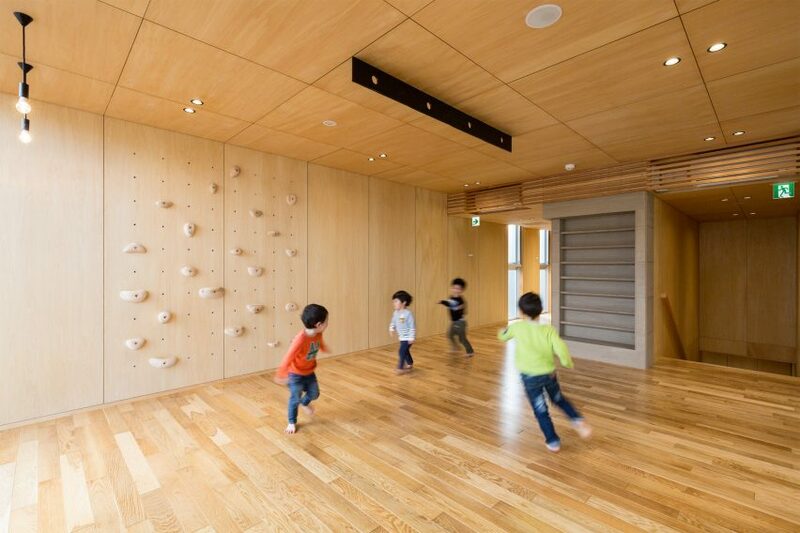 Japanese architecture studio Hibinosekkei incorporated structures intended to encourage play into the interior design of this Tokyo support centre for children with developmental difficulties. The studio, which specialises in healthcare-related architecture, designed the facility for a site in Hamura, on the western edge of the Tokyo metropolitan region. 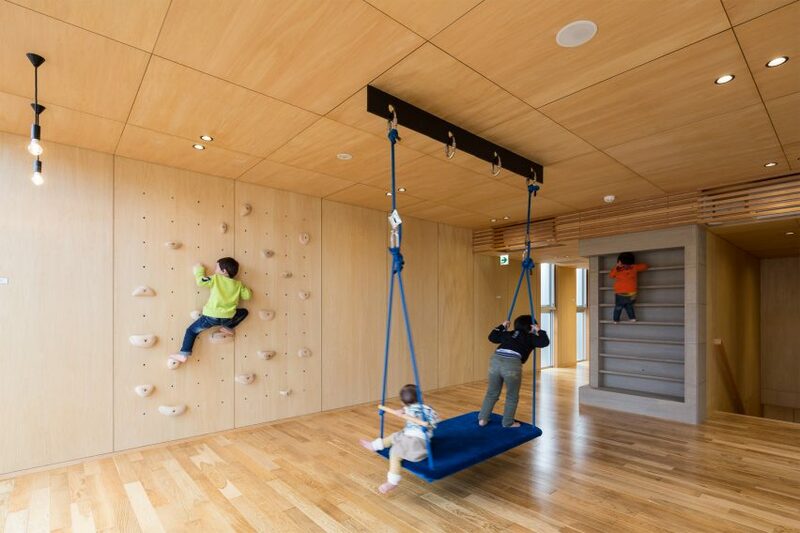 The building’s design responds to the needs of children with physical and mental disabilities by providing a stimulating environment that encourages exploration and play. The interior seeks to engage all five senses by incorporating a range of equipment, architectural features and spaces dedicated to different activities. 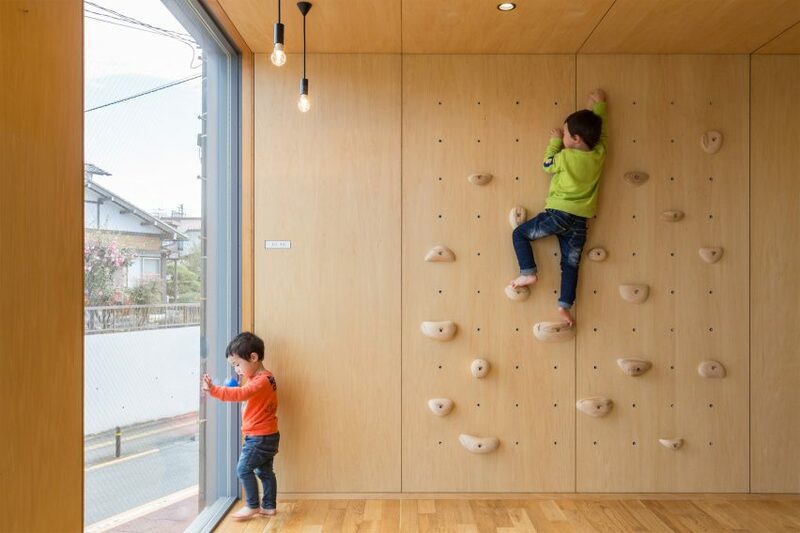 “It is difficult for children with developmental disabilities to transmit their sensations, so, it’s important that they get the sensation of balance as well as touch, taste, hearing, smell and sight,” said the architects. The two main childcare rooms are distributed across the ground and first floor, with the lower room intended for quiet learning and the upper area focused on active play. The building is separated from the street by a decked terrace lined with planters that provides a compact outdoor area for use by children and staff. Doors incorporated into the glazing at this level open onto a bright entrance area that offers a view all the way through to another set of glass doors at the rear of the building. A hall that occupies half of the ground floor opens onto decking along one side, while the rest of this level accommodates amenities including an office, toilets and the staircase. The stairs lead up to a second hall containing equipment for dynamic play, including a climbing wall, gym ladder and a beam for suspending swing apparatus. The neighbourhood of Gonokami – where the centre is located – has an industrial heritage and was once home to many foundries making tools such as pots, pans and ploughs. 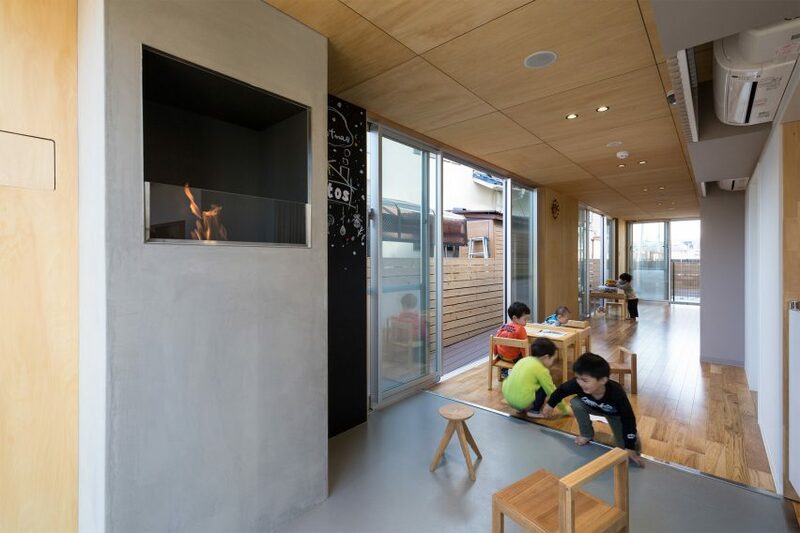 Hibinosekkei wanted to reference the area’s past in the architecture of this new addition, so it incorporated details including a fireplace and sandpit to evoke the processes used to cast metal. 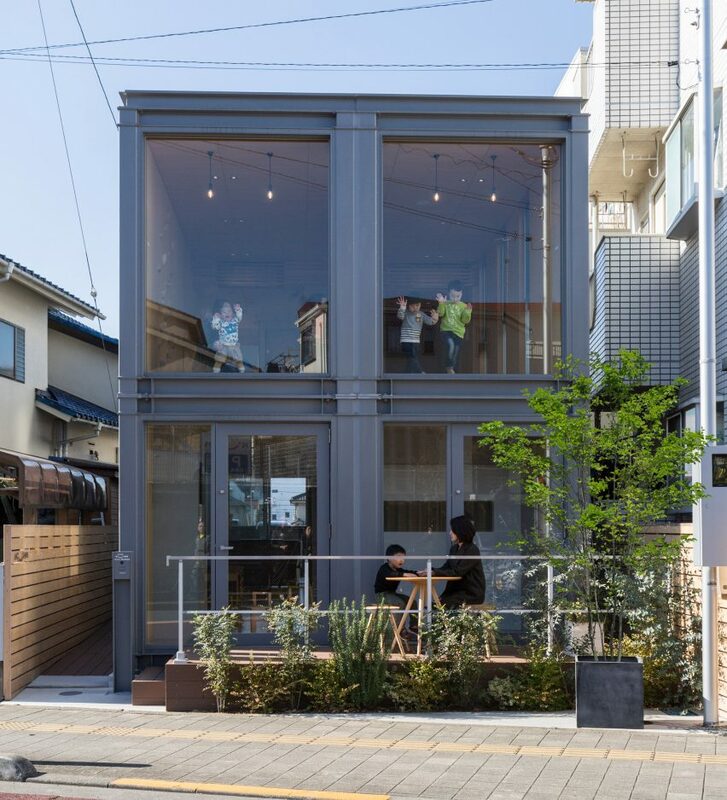 The studio previously worked on a nursery in Yokohama featuring house-shaped windows that puncture its metal facades, and inserted a small wooden playhouse into a kindergarten in Saga.